1. 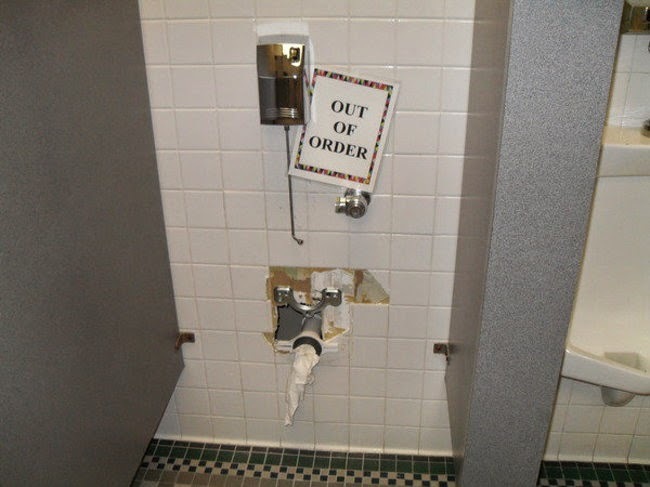 Out Of Order Urinal: As if a sign was needed to be able to tell that this urinal wasn’t working. 2. 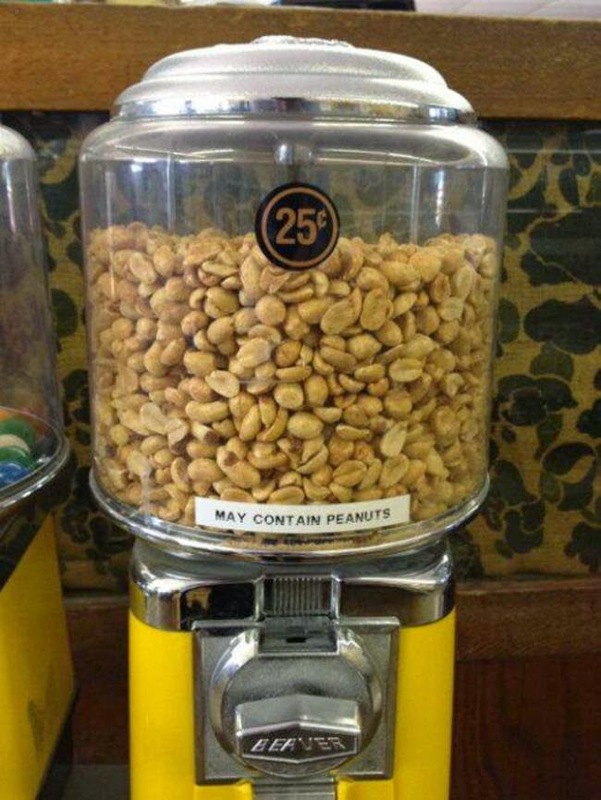 May Contain Peanuts: I find it extremely strange that we have to label that peanuts may contain peanuts. What has this world come to? 3. 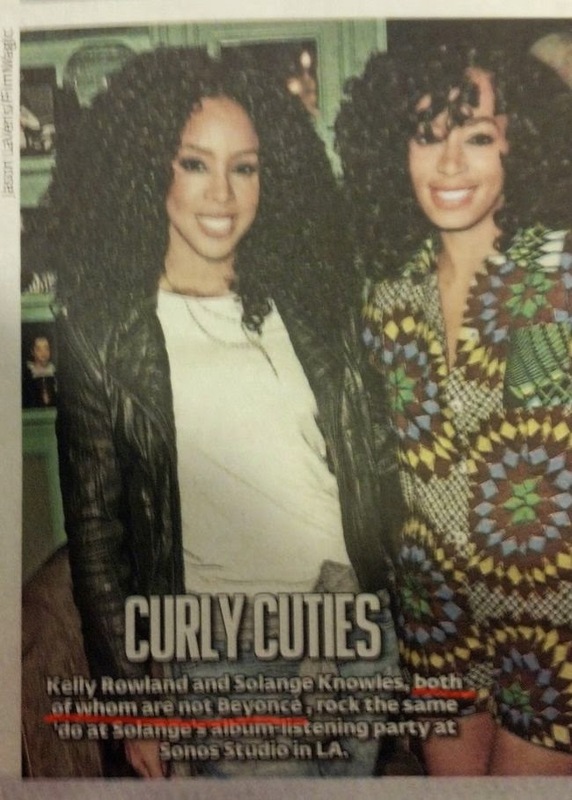 These Curly Cuties Are Not Beyonce: You can pretty much tell that they aren’t Beyonce. Do you really need to specify it on the cover of your magazine? 4. 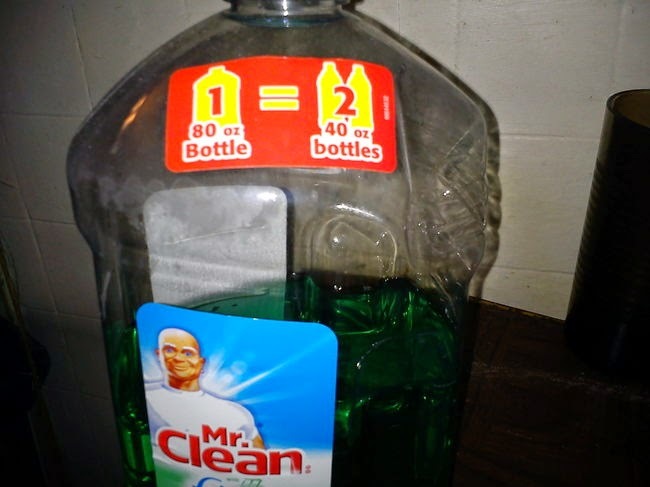 Mr. Clean- 1-80oz = 2-40oz: This is the truth. My math teachers would be so proud! 5. Wet When Raining: Unless it’s super hot and there’s only a mild sprinkle. That just makes things really humid. You could call it moist, but wet is a stretch! 6. Rain Creates Wet Roads: OMG! 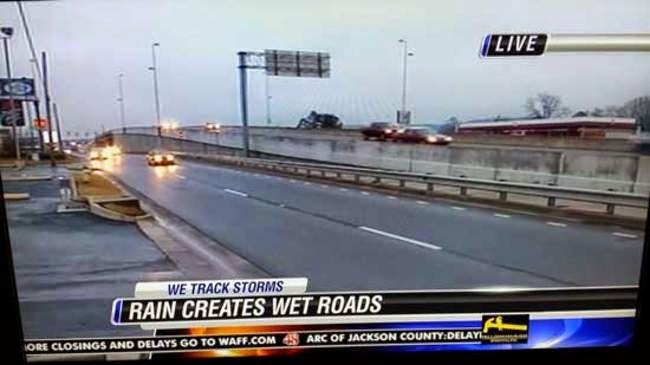 Is that really how wet roads are created? I thought they were just sweating. 7. 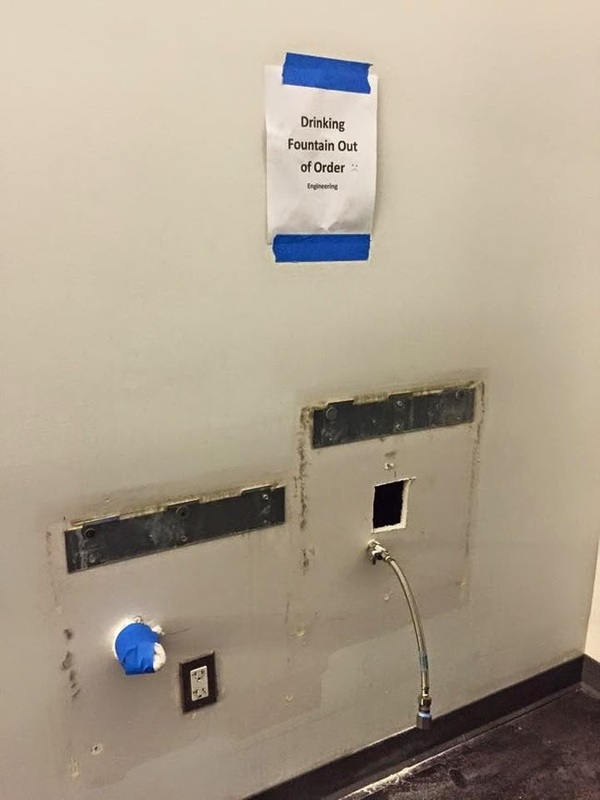 Drinking Fountain Out Of Order: Wait, Uh… What drinking fountain? 8. 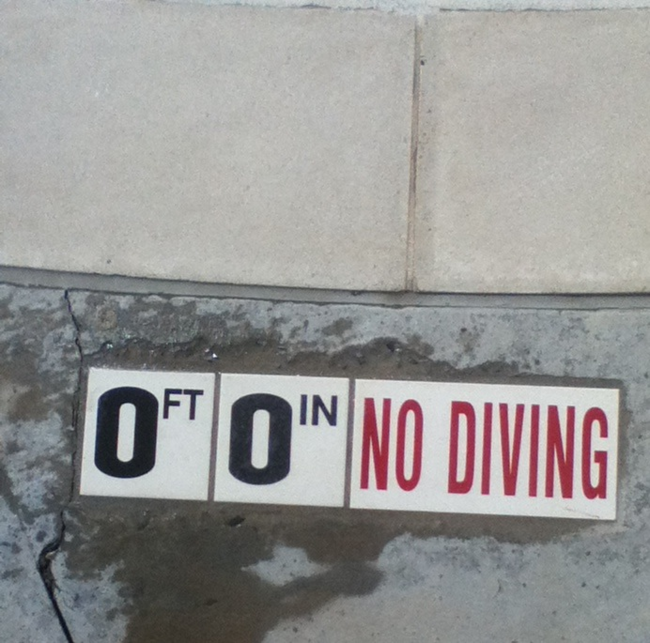 0Feet 0Inches- No Diving: Unless you’re really interested in diving head first into a puddle of … dry concrete. 9. 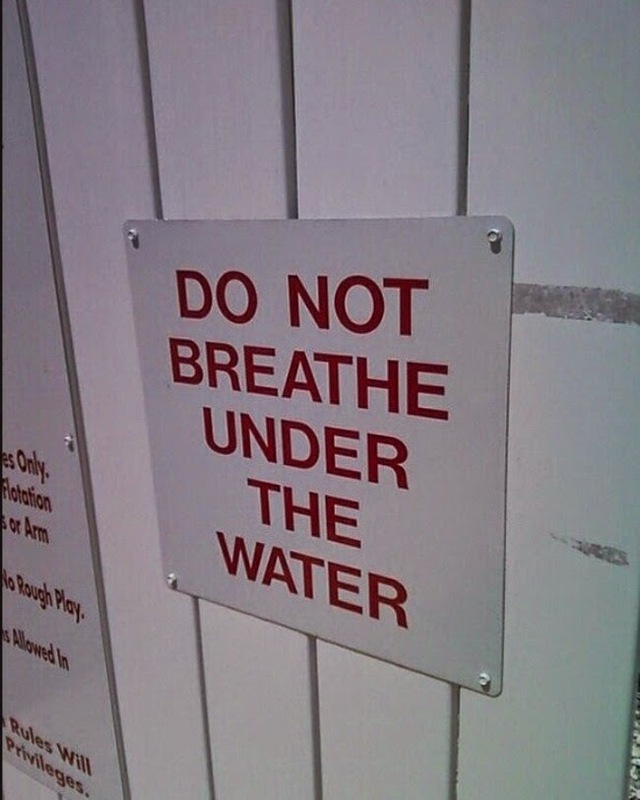 Do Not Breathe Under The Water: Yeah, that H2O is pretty rough on the lungs. That stuff is really not meant to be used as an inhalant. 10. 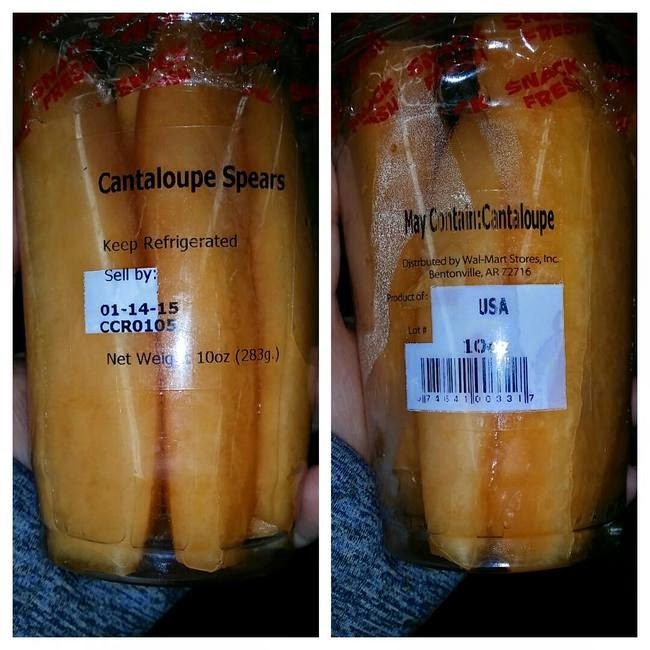 May Contain Cantaloupe: I don’t eat the stuff, but I’m pretty sure that I’d expect some cantaloupe in cantaloupe spears. Call me crazy. 11. 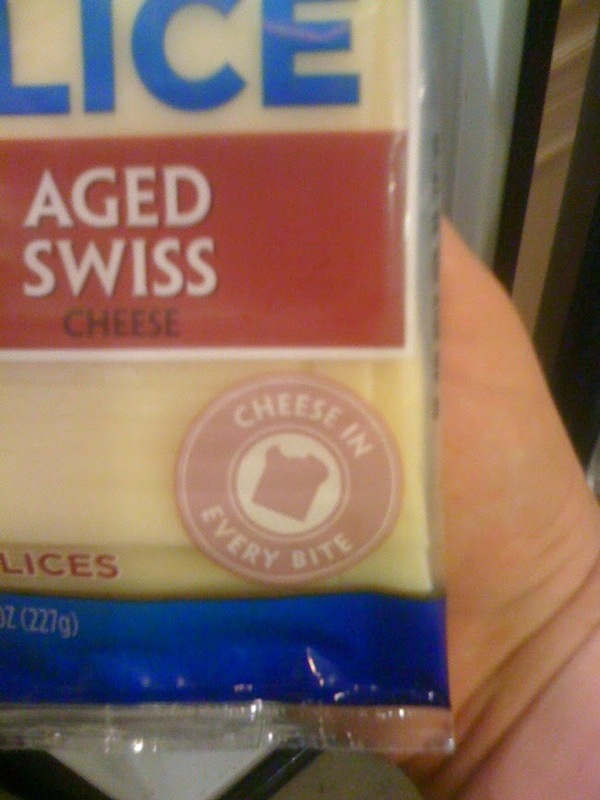 Cheese In Every Bite: Well, I’d certainly hope so. I would hate to have all the additives gathered in one bite, that would taste awful. 12. Road Closed: What road? 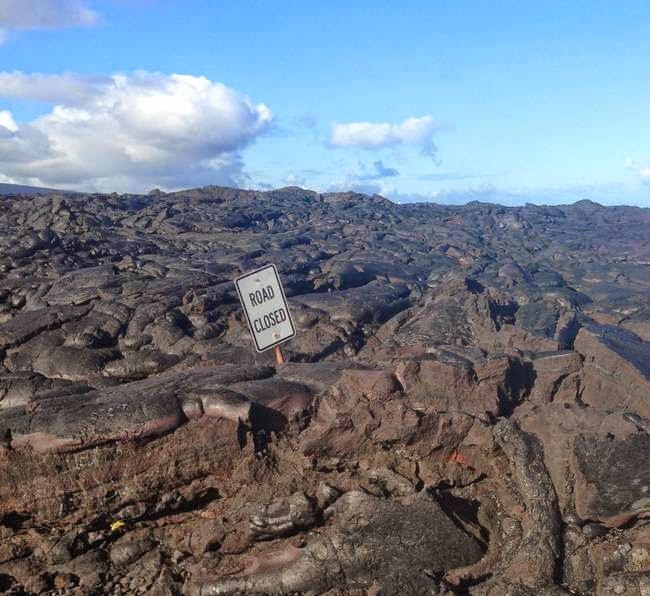 Is there actually a road beneath those rolling mounds of lava? 13. 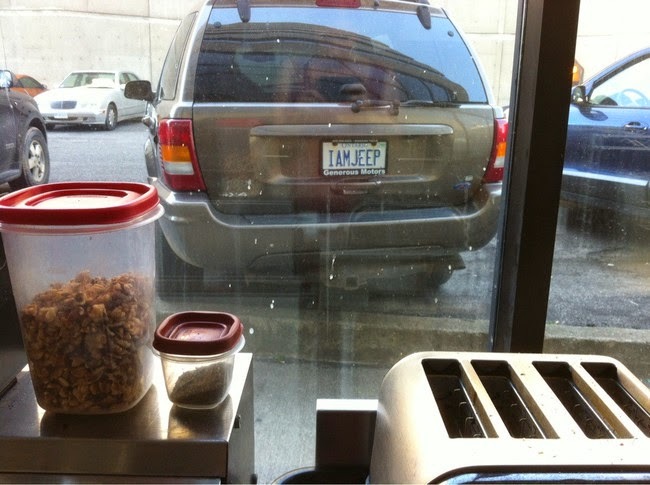 I AM JEEP: Are you sure you are not motorcycle? 14. 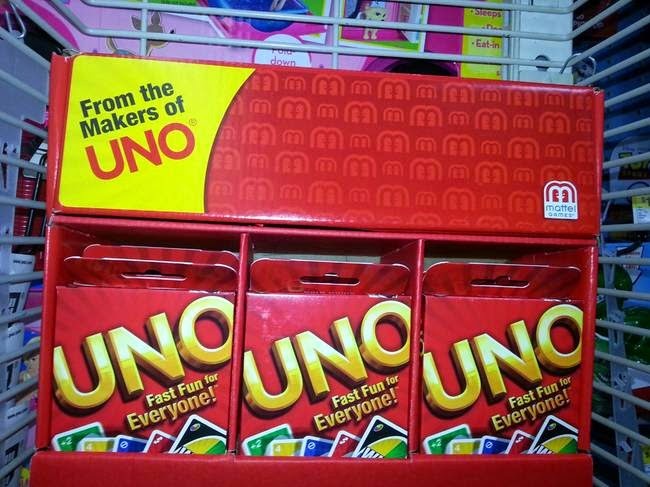 From The Makers Of UNO: Uno, from the makers of Uno. Are you sure it was made by Uno? Uh, NO! 15. 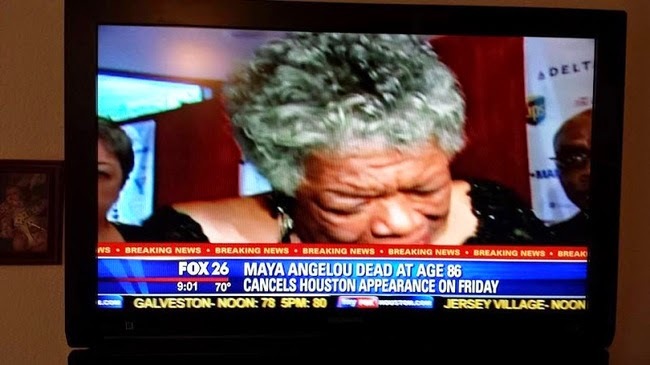 Maya Angelou Dead Cancels Appearance: Yep! Pretty sure that all your future appearances are going to have to be cancelled. I hope her fans were understanding of the cancellation. 16. 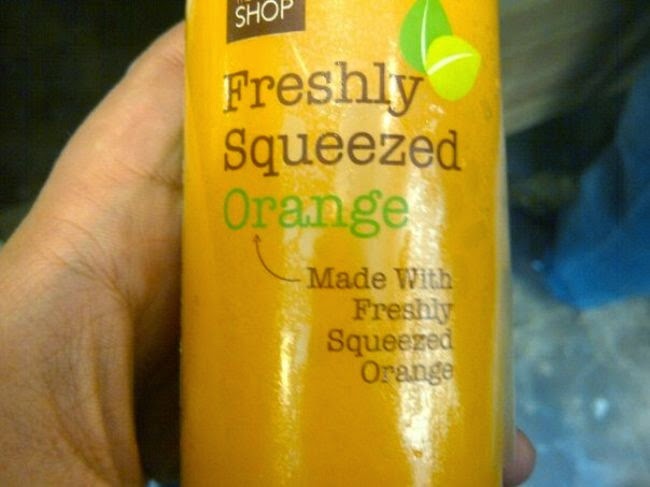 Made With Freshly Squeezed Orange: Unfortunately with some of the misleading names of most other products, this one may not really belong in the ‘no kidding’ category. 17. 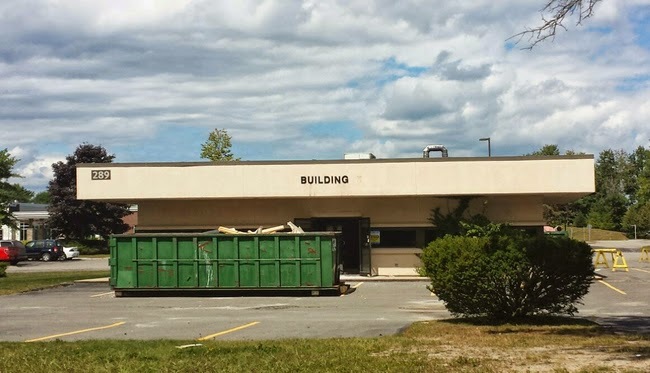 BUILDING: Thank you, Captain Obvious. I don’t know what I would do without you. 18. 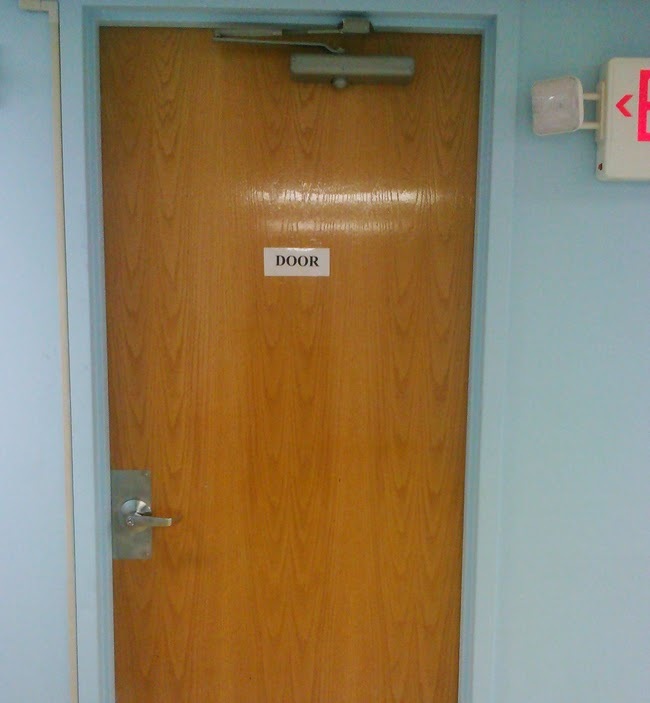 DOOR: Uh oh. Look out, there’s another one. Whatever you do, don’t let this guy get a hold of the label maker! If you find the label maker and it’s been labelled as a label maker, you are already too late. 19. If It’s In Stock, We Have It: I can’t be mad at this one. 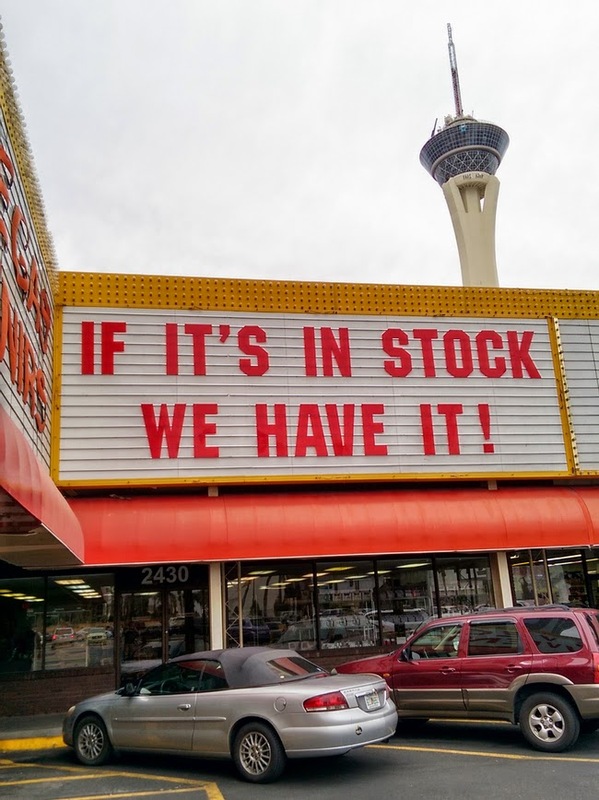 The World’s Largest Gift Shop in Las Vegas just has a way with their marketing. I like to call it genius. 20. 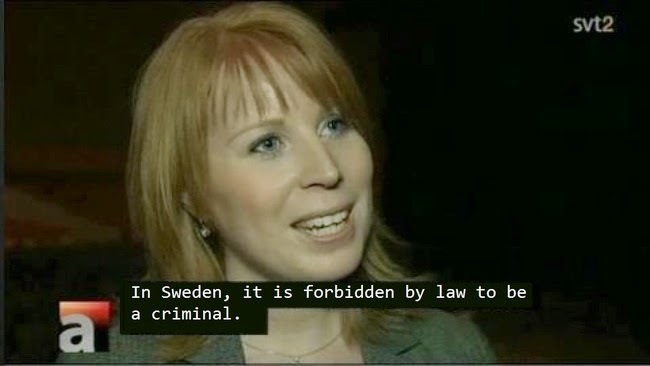 In Sweden, It’s Forbidden By Law To Be A Criminal: Here’s a shocker lady, I think it’s against the law everywhere! That’s the whole point of a LAW. 21. 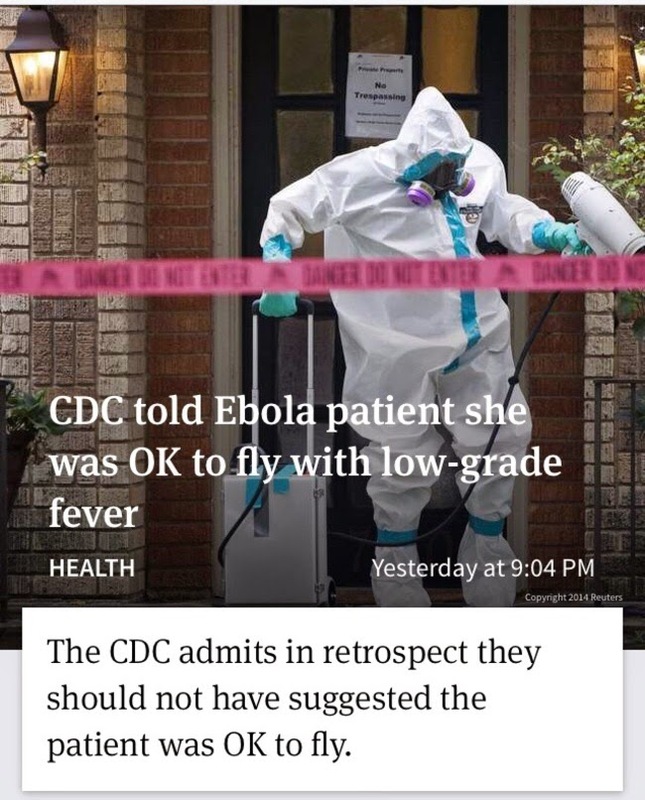 Center For Disease Control: So what you’re trying to say is, you could have prevented that whole Ebola outbreak? And to think, we literally trust you with the lives of the entire nation. Can we get someone more qualified, please? 22. 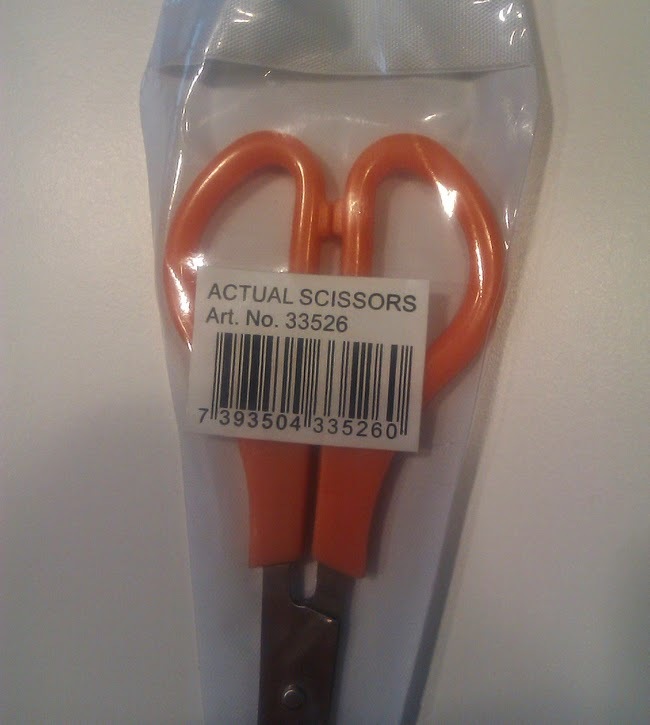 Actual Scissors: The steel blades were a dead giveaway. Perhaps an explanation wouldn’t be necessary if these weren’t on display in the children’s toys section. 23. 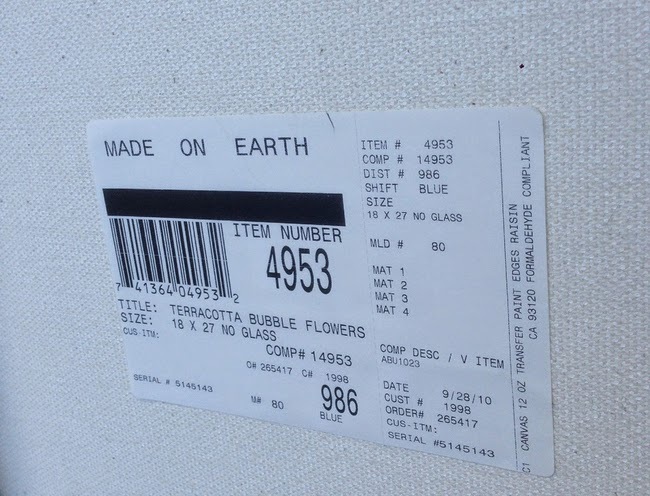 Made On Earth: That’s quite the general statement. I wonder if they were selling this product alongside meteorites that were, in fact, NOT made on Earth. 24. 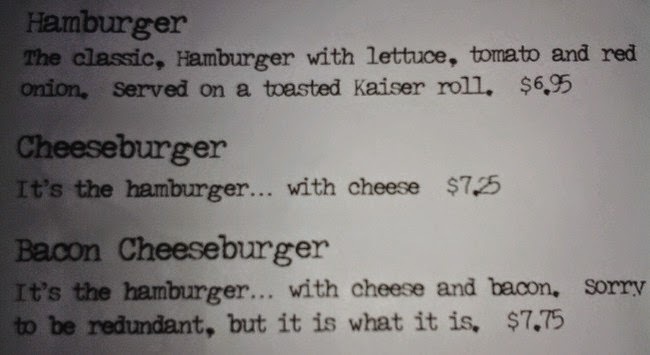 Hamburger With Cheese And Bacon: Hey, if you’ve ever worked in the food industry, you may be laughing at this one for different reasons. Those poor people get some pretty stupid questions. I know because I’ve asked some doozies! 25. 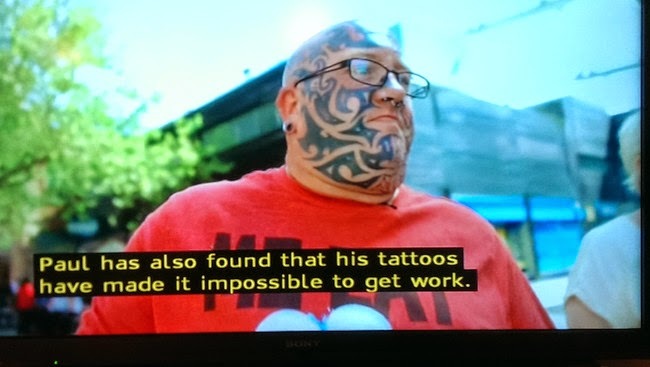 Face Tattoos Make It Impossible To Find Work: What? Is the circus sideshow currently NOT accepting applications? Did you think that a tribal design on your face was going to be a selling point for your decision making skills and your ability to make good decisions? 26. 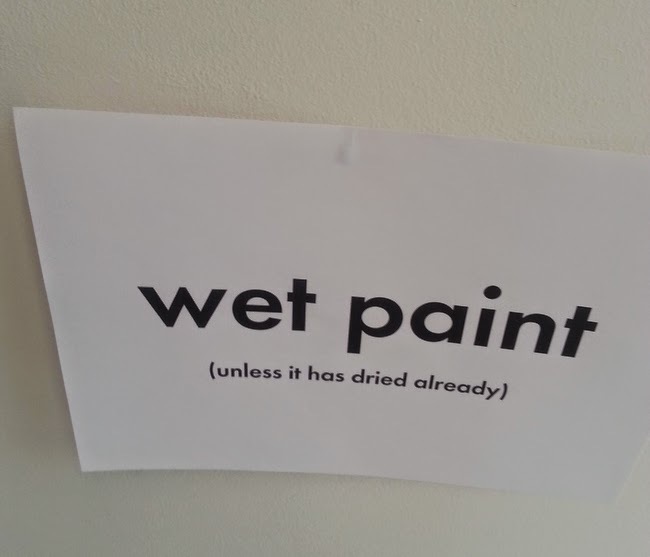 Wet Paint Unless It Has Dried Already: Fair enough. And you know that the natural instinct is to touch the paint to verify that it is, indeed, still wet. 27. 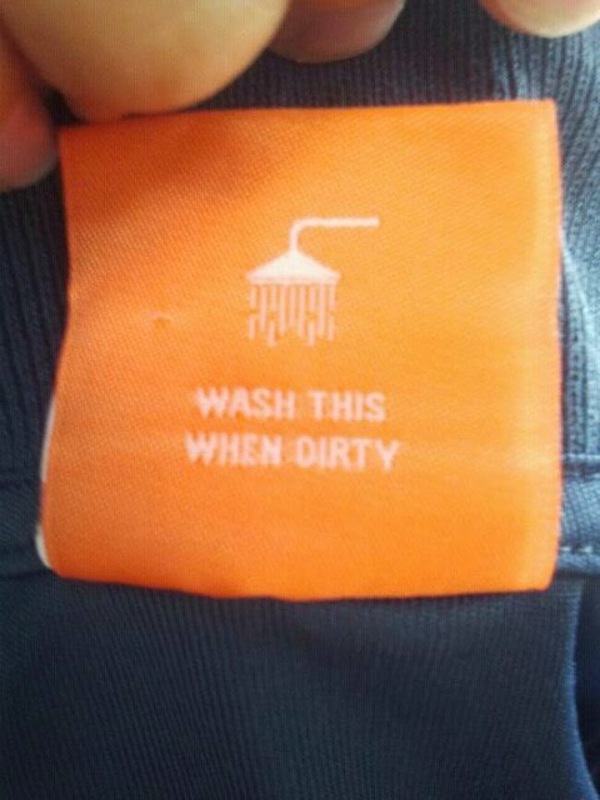 Wash This When Dirty: Wash the shirt when it’s dirty? Seems pretty logical. 28. 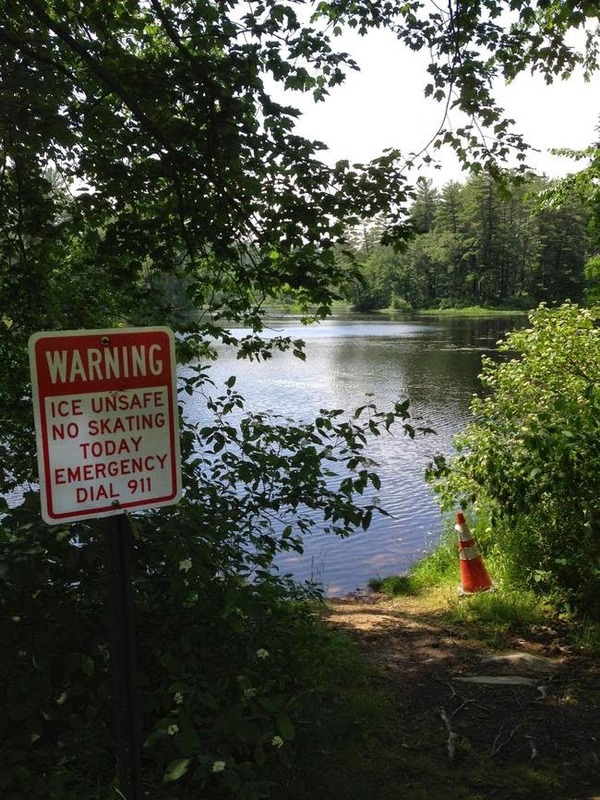 Ice Unsafe, No Skating Today: Unless you can walk on water, you shouldn’t try to skate on the liquid ice. 29. 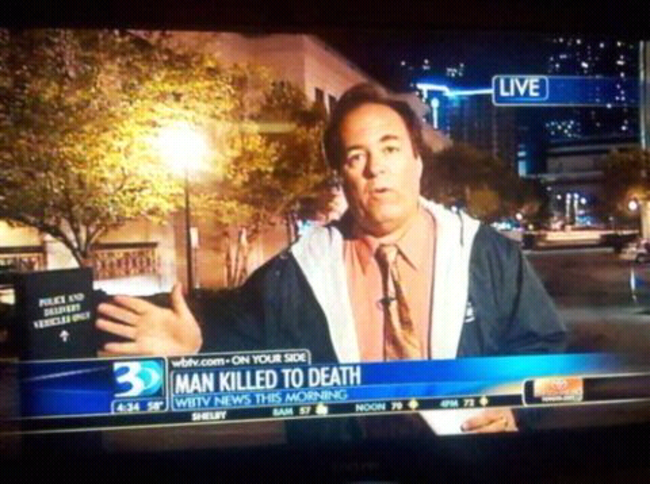 Man Killed To Death: I can’t believe it, they killed him ’til he’s dead from it. That’s terrible. 30. Homicide Victims Rarely Talk To Police: Rarely? Really? I think someone has been watching too much Medium. Do you believe in people sending messages from beyond the grave? 31. 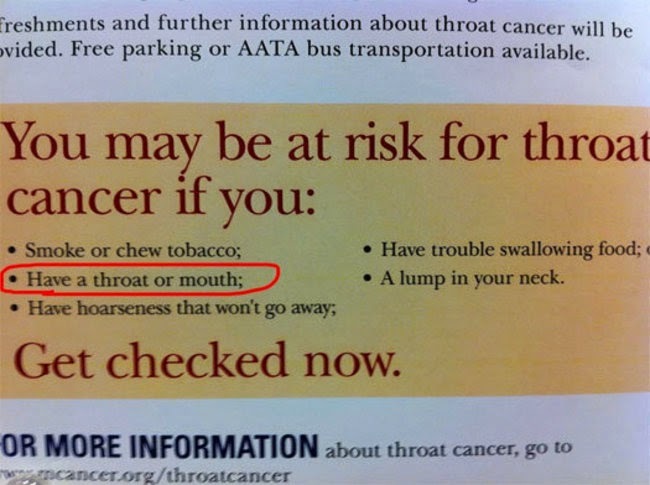 If You Have A Throat Or Mouth: Oh no! I have a mouth and throat! Time to schedule a doctor’s appointment. And I thought the lump in my neck was called my Adam’s Apple. 32. 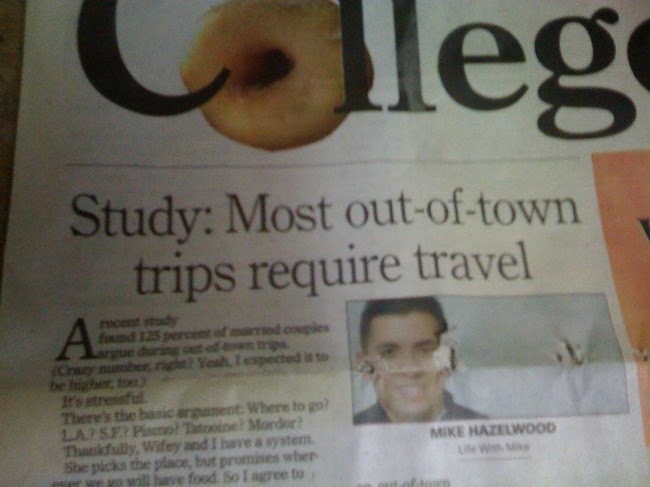 Most Out Of Town Trips Require Travel: I think the important words that tie everything together are TRIPS and TRAVEL. 33. My Cat Doesn’t Act Like A Dog: That’d be pretty cool if it did. 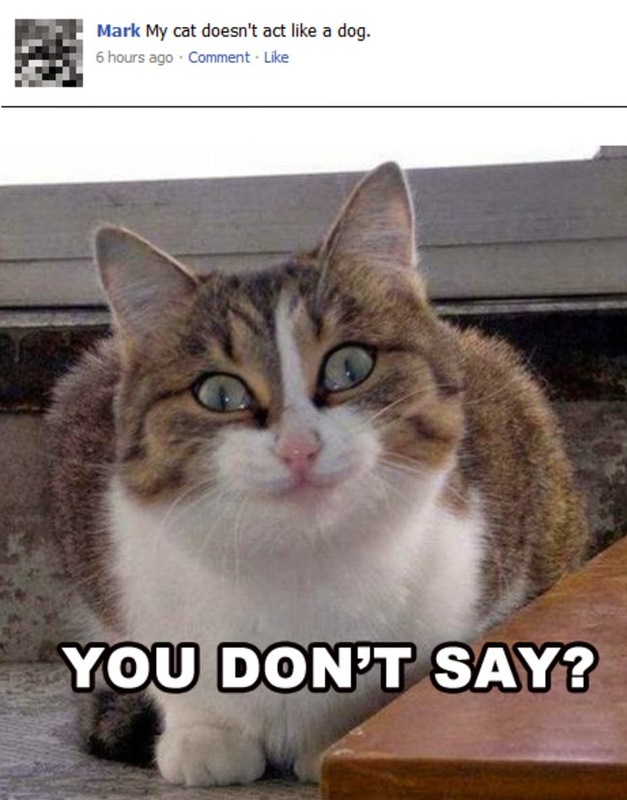 But it’d be horrible if a dog acted like a cat. Just sayin’!